Slavic Village is an active, vibrant community benefiting from connectedness, opportunity and belonging. A big part of ensuring Slavic Village remains a thriving, diverse neighborhood throughout the 21st century, centers on our active living based re-development strategy! Active living opportunities currently do abound in Slavic Village. 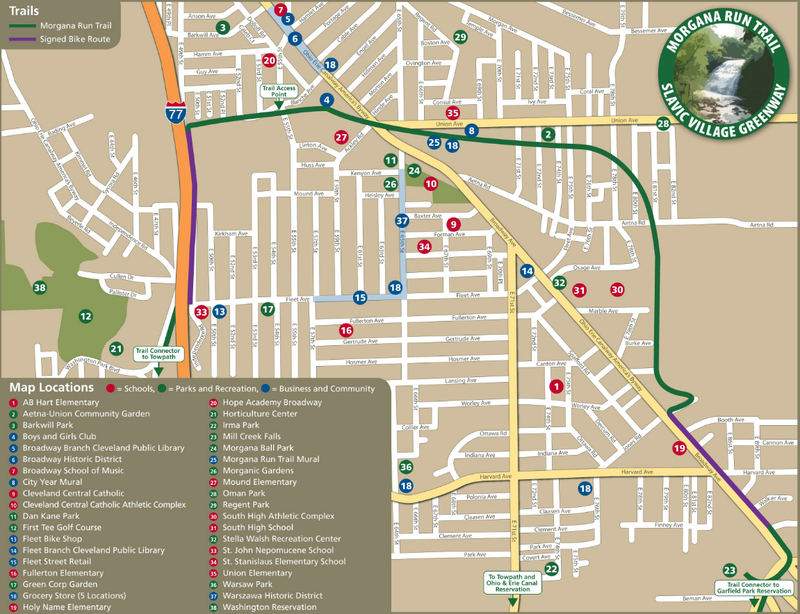 From parks and recreation centers like the Boys and Girls Club, to the Morgana Run Trail (formerly a decommissioned freight train line) – to our plethora of green spaces and neighborhood parks – the Slavic Village community offers fun and healthy activities for both children and adults of all ages! Check some of them out below! Did you know? Case Western Reserve University’s cycling team practices at the Cleveland Velodrome! Not only that, but they’ve proven themselves very successful – bringing home numerous medals from different competitions! You can also follow them on facebook, here. Check out this video of a recent cyclo-cross competion they participated in with some other fine teams! Washington Park MetroGolf Course! Washington Golf Course is the highlight of Cleveland Metroparks Washington Reservation in the cities of Newburgh Heights and Cleveland. The beautiful 9-hole, par 29 golf course and 30-station driving range was designed by Brit Stenson of International Marketing Group (IMG) located in Cleveland. Ohio and Erie Canal Towpath Trail! 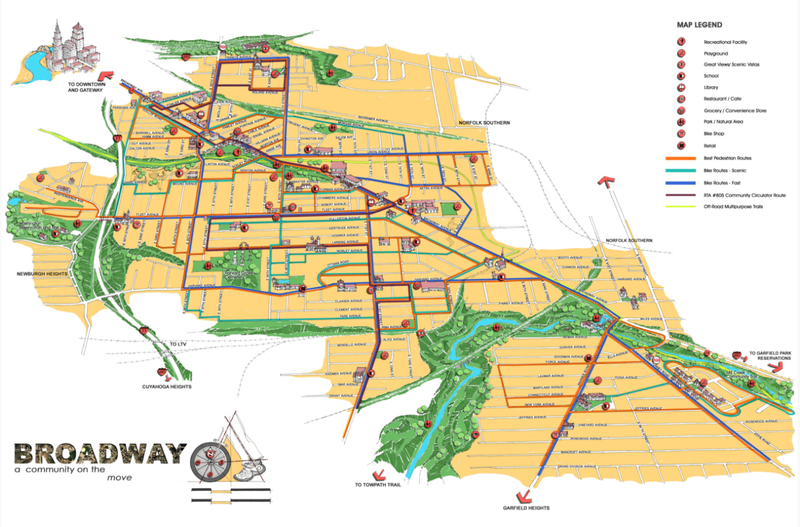 This multi-purpose trail was developed by the National Park Service and is the major trail through Cuyahoga Valley National Park. From it you can make connections to many of the natural and historic sites in the park, and other intersecting trails. The trail is constantly being lengthened with final connections to downtown Cleveland! Stella Walsh Recreation Center! Free and open to the public, this facility offers indoor swimming, light gym, and free Zumba classes among other thing! Check their schedule for more seasonal activities! Warsaw Pool & Park! Also free and public, this outdoor swimming hole is a great way to warm up from the summer heat! Skaters – be sure to compete at the Annual Game of S.K.A.T.E. hosted by the Public Square Group! Stefanksi Field! Cleveland Central Catholic’s primary athletic field is open to the public (provided no programming is going on)! Stop by for a walk or jog today! Shaolin Gungfu Martial Arts School! Did you know Slavic Village is also home to one of Cleveland’s finest martial arts training schools? Check out Shalin Gungfu’s website or give them a call (216-513-8896) to learn more! Preview the Broadway Skatepark rendering! Following completion of several other city parks, the Broadway Skatepark will give area skaters one more spot to thrash. Although part of the future, be sure to note the Czech & Polish flags displayed on the full pipe – a direct nod to Slavic Village’s unique ethnic history! Now… need help finding your way around? A good old fashioned map never hurts!